Hey there and welcome on board! Where to you want us to take you? There is almost no difference between Juniors, U23s, Sen-As and Masters athletes. We take every athlete 100% serious. We respect personal time budgets, family life, busy work schedules and travel plans. The training you get ranges from professional and individual training plans, to elite level on site training. The higher the cost of a coaching deal, the more personal one-on-one time you get. Outstanding, professional and the most productive training program that I have ever experienced… Over the past several years I have traveled all across the U.S. to train with numerous elite level coaches on the water and on two different type rowing machines. In just two training sessions on the Biorower (4-hours total), Aram provided me with more feed-back and critique about how to improve my stroke than 4-days of training on the water with other coaches! The unique and realistic feeling of the Biorower, compared to actually being in a boat on the water, combined with the coaching from Aram is the most outstanding, professional, and most productive training program that I have ever experienced! This program is right for you if you already have experience with structured rowing training, and all you need is an individualized professional training plan. What you get is a personalized training plan which features 1 peak of season and 1 free video analysis per year. Your training plan is updated every 6 weeks based on your individual progress. Please send us your training log during week 6 of every meso cycle so that we can plan on time. This deal includes 3 video analysis sessions and priority e-mail support, and is tailor made for athletes who want to get more feedback on their rowing technique. Your professional and personalized training plan features 2 peaks of season and 3 free video analysis services per year. Your training plan is updated every 6 weeks based on your individual progress. On top of that you get priority e-mail support. The right choice if you want to get into frequent competitions, have a frequently updated training plan, and get live personal feedback sessions. Your training plan is updated every 6 weeks based on your individual progress. The competitive deal is the right choice if you want to get into frequent competitions, need professional training plans, and you don’t want to miss personal feedback. This plan includes includes up to 4 peaks of season, up to monthly updates of your training plan, 4 Live-Feedback sessions by Video Chat (can also be used for technique feedback), priority E-Mail-Support and discounts on aramtraining-Events. Your training plan is updated every 4-6 weeks based on your individual progress. Please send us your training log during week during the last week of your training plan, so that we are able to work on your new one on time. This deal is all about strategic performance build-up. The performance deal features competition oriented, individualized training and includes up to monthly updates to your training plan, based on your individual season planning and training planning around your work schedule. The Perfomance deal includes monthly personal feedback session by phone or video chat, priority e-mail support and discounts on aramtraining events. Of the many things I have learned from Aram, the most important lesson was never to lose my goal and to constantly walk towards it. There might be set-backs, but you never stop. No matter how slow your progress might be. My name is Jakob Zwölfer, I am 22 years old and I am high performance lightweight rowing athlete and current silver medallist at the U23 European Championships with a personal best in the single of 6:52. Having started late, at the age of 16, Aram has been my coach ever since. Now, just about 4 years later, I have produced top results at national and international races. He made it possible for me to compete at the U23 World Championships, only 3,5 years after I had first started rowing on a Biorower. On top of many hours of technique training, and his knowledge about physical training, Aram made me discover my mental potential to an extent, of which I had never dreamed it even exists. Another crucial insight I got from him is the fact that I must go my own way if I want to be successful. “If we keep on doing things the way we have always done them, we will get what we’ve always had”. So, Aram helped me discover my own way, based on my personality and based on my individual physical potential. I am looking forward to many more years! You aim for high goals, and you want professional coaching for your physical development, and for the development of your rowing technique. This coaching deal is intended for rowers who aim to peak-perform at competitions. An important part of the pro deal plan is the “plan-around-my-work-schedule-service”. Every month, we sit down and plan every training unit in accordance to your work and travel schedule, taking into account the specific availability of gym equipment available at hotels. The Pro Deal features up to weekly training plan updates, unmlimited peaks of season, up to weekly personal feedback session by phone or video chat (can also be used for techinque analysis) and discounts on aramtraining events. …you dare to dream big, and want professional help to achieve your goal. The high performance deal features the most frequent personal coaching feedback available. It is intended for rowers who want to reach their highest potential – be it SenB, Sen A or Masters athletes – even if you are working full time. Becoming part of the program includes up to daily personal feedback sessions, on the go training plan adaptions and session by session planning. This deal is only available on a limited basis and only to athletes whose minds are set on competitive goals. Participation fees for aramtraining events are discounted by 75%. We call you back to learn more about where you presently are, and how you can achieve your goal. My coach PetterLjungström and I started to work with Aram and the Biorower in 2009 when I was a beginner. 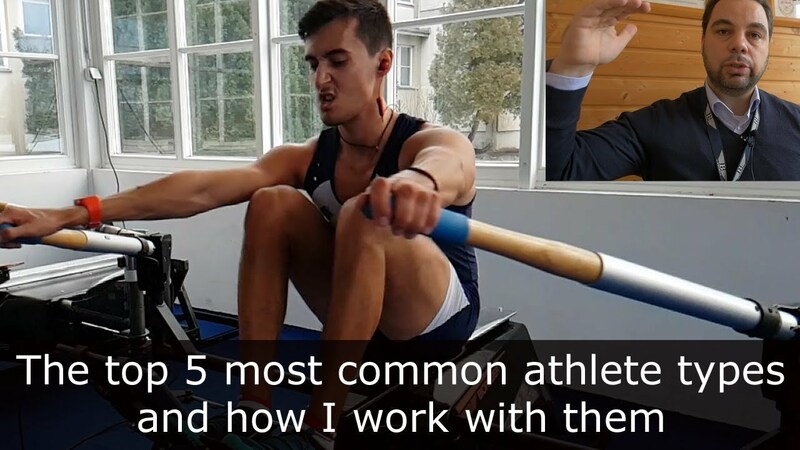 We have been working with Aram ever since and with his help and knowledge in human physiology, rowing technique and biomechanics I can now call myself an Olympian. Since I was introduced to sport and rowing as a 22 year old, it was crucial for me to get both individualized and targetbased training. There were many things I needed to learn and develop! With Aram’s help, both on distance (through Skype), and by my side in Vienna (Austria), Stockholm (Sweden), Racice (Czech Republic) and Montemor o Velho (Portugal) I got faster every year. His individualized coaching and mental support helped me to win my first gold medal in the Swedish Championships in 2013, both indoors on the erg and on the water. The following year I was selected to compete for Sweden in the European Championships, the World Championships and also at two World Cups. A big goal in my career was the World Championships in 2015 which also was an Olympic Qualification Regatta. I managed to qualify an Olympic spot for Sweden which Idefended in 2016in a two month long selection period. It was amazing to experience the Olympic Games in Rio – a dream I never would have been able to reach without Aram and Biorower by my side. Let us help you choose the right deal so that you reach your personal goal in rowing fast. We keep your contact information strictly confidential.